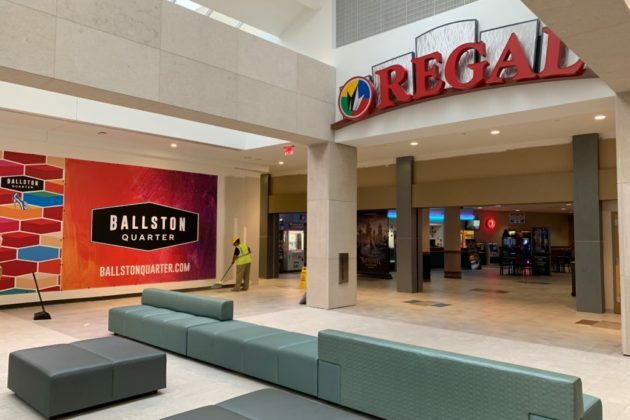 Regal Cinemas on the newly renovated Ballston Quarter’s third floor. 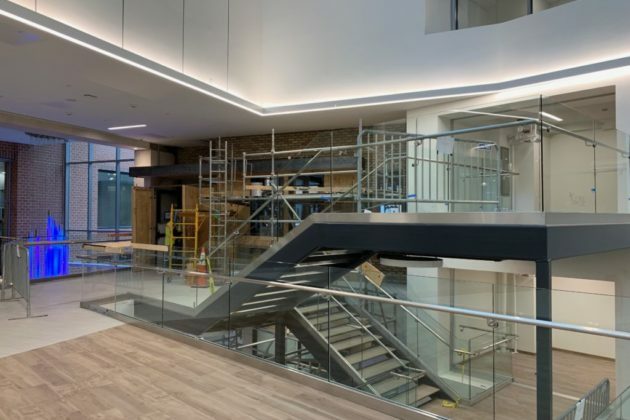 The newly renovated Ballston Quarter’s third floor. 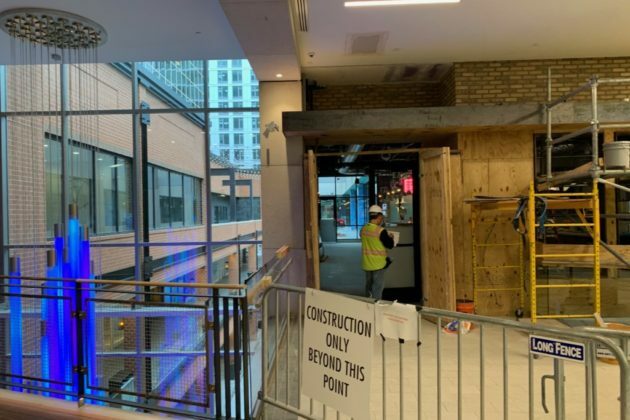 Ballston Quarter could open to customers as soon as this week, marking an unofficial end to the years-long redevelopment of the old Ballston Common mall. Signs posted around the development’s elevator banks list Thursday (Nov. 15) as the site’s opening day. 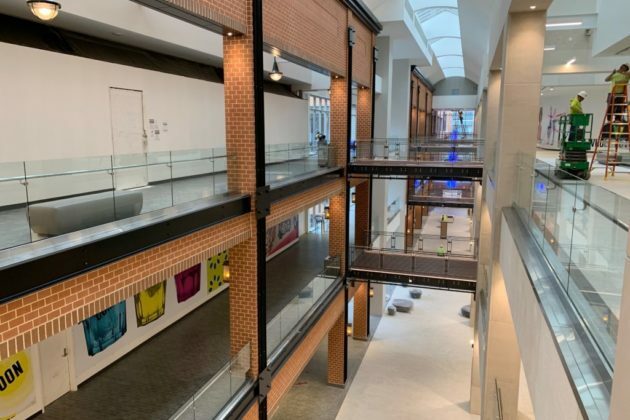 Specifically, the signs advertise that the two main floors of Ballston Quarter — including the first floor with “street-level access” and the second floor with an area dubbed “Instagram alley” — will open this week. Meanwhile, the third level of the development, which includes Regal Cinemas and the newly rechristened Onelife Fitness, is now open to pedestrian traffic. However, many of the stores on the level remain under construction. 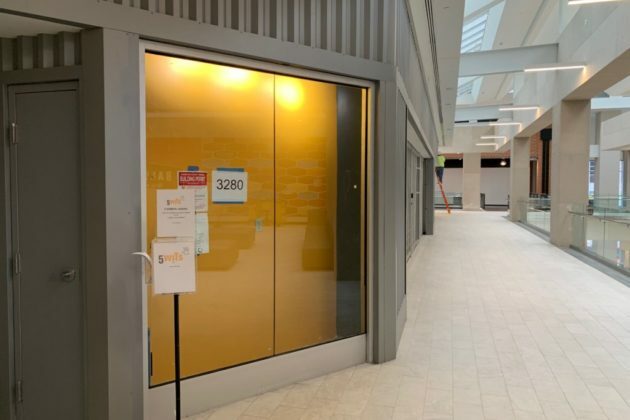 The new “Quarter Market,” a 25,000-square-foot food hall, won’t open until February 2019, the signs say. A spokeswoman for Forest City, the developer spearheading Ballston Quarter, did not respond to a request for comment to confirm those dates. Forest City initially hoped to open at least some of the stores in the development by the end of September. But delays convinced the developer to aim for late October instead, yet Ballston Quarter has remained closed to public access since then, and Forest City has been conspicuously silent on the matter. The developer has also had to push back plans to open a refurbished pedestrian bridge over Wilson Blvd to next year. 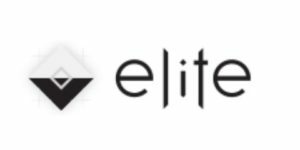 However, Onelife Fitness, once known as the Sport&Health fitness club, has a grand opening event scheduled for tonight (Tuesday) following its $2 million renovation work and rebranding. Punch Bowl Social, a combination bar and entertainment venue, has also now formally announced plans for a Dec. 8 grand opening event, after posting signs around Ballston advertising the night earlier this month. Forest City has previously announced a bevy of other shops, restaurants and other businesses set to move into the former mall. 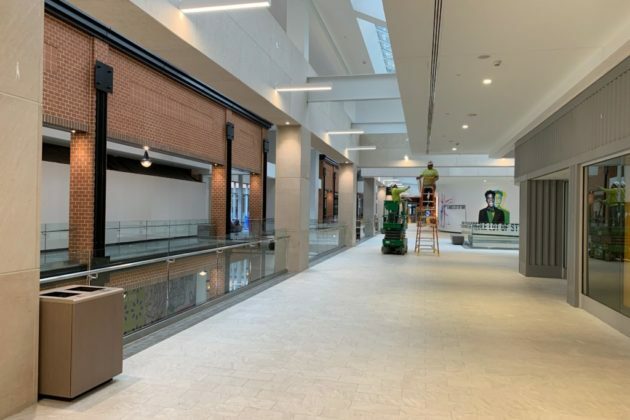 The development had roughly 75 percent of its space leased as of the end of September, and the mall has begun maintaining a full list of retailers on its website.